Dexter Cattle General Information Also browse in Gladhour Blog (though badly in need of update) to see other animals potentially for sale and happenings. Since I work hard to develop and know my bulls, I like to let prospective buyers choose a bull (calf or adult), or narrow to a choice of two bulls, first. Then I can go over compatibility factors among the females I have for sale. I have emphasized my bulls. As recommended by rare breed conservators, I have grown out bulls from a number of my lines to see how they develop. Buyers often try to assess a bull at a young age by his looks. It is often difficult to assess a bull at the age many are cut, particularly when the breeder does only grass-feeding, and even more difficult to guess what the bull will produce, the real test. With the aid of the eyes of some in my grazing group, I have worked toward good beef conformation, while with the help of aAa, I have worked toward balanced structure so as not to lose sight of the dairy side of "dual purpose." 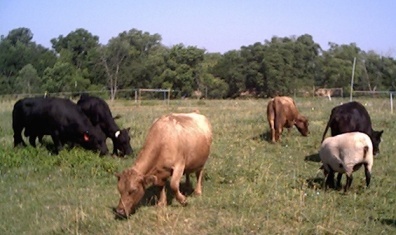 With my vet's help, I have tested my herd to be free of many health issues. With the help of Agrigenomics lab testing most of my herd for chondrodysplasia in the first months of the DNA test's availability, I can offer buyers assurance about their bull's status in reference to chondro. I now have PHA information on most of my animals as well. I have sought out bulls from distant states to provide what I wanted in my herd. And with a great deal of effort in management, I have used the services of a number of my bulls to give certain traits in my calves. Therefore, I highlight my bulls for sale. Indeed, herds need females, and several of them. But without effort such as I've described on the bull side, Dexter breeders are often reduced to "using the local bull"; because they do not have the offspring, siblings, and parents to see for a given bull,they are likely to chose to buy or use a bull based on his individual appearance, or the convenience of his location. I hope that the additional effort of Gladhour Farm in bull-raising creates a positive influence in the longterm for the Dexter breed. Archived here in the second tab are some pictures of some sold Gladhour bulls, so that you can see styles and stages. On the "for sale" tab, the animals are current, but the list is incomplete. If you see something which interests you, contact me. Often a "deal" can be made--creative working with buyers and their resources is very possible, even while I believe in keeping prices that are fair and in line with other serious breeders so that we do not undercut the Dexter price values in the U.S. I do have approximately 60 animals for sale, so contact me with your "wish list" (or your "ready to buy" list). Unless noted, my Dexter animals are typically PHA-free and chondro-free, most by obligate status. I have kept current with the requirements of ADCA, PDCA, and Legacy, so animals are typically registrable in any of the three registries. Since testing can be prohibitively expensive for a person with a large herd whose entire income is from farming, many animals do not have listings of everything that some registries require, but others do not--but talk with me about your needs. Not all Dexter owners/buyers need all the same things, but you can be assured that I know how to get testing done. 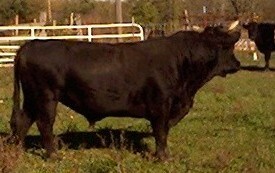 Buyers of my bulls always get my help in locating suitable females in other herds as well, if desired.